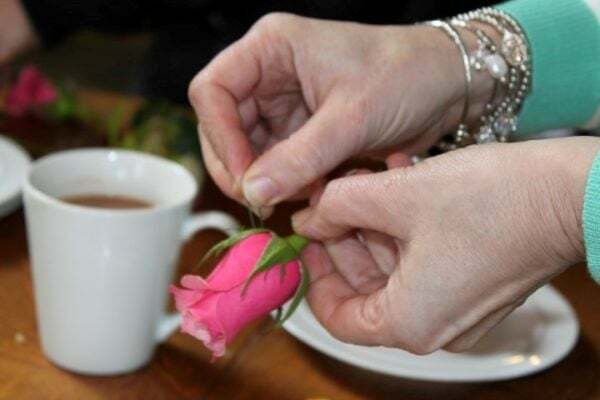 If you love flowers but just don’t know where to start, then this evening workshop will give you the skill and confidence to start flower arranging and show you how to transform your flowers into beautiful arrangements. Have you ever dreamed of creating your own hand-tied bouquet or the perfect party table centre piece; discover the secrets of a perfect vase arrangement or make a dazzling masterpiece for a special event with confidence? If you love flowers but just don’t know where to start, then this evening workshop will give you the skill and confidence to start flower arranging and show you how to transform your flowers into beautiful arrangements. We will take the fear out of flower arranging and show you how simply it can be done! We are delighted to welcome Linda Seabrook, a local florist, NAFAS Area Demonstrator and qualified tutor, to run this workshop. During the evening, using a selection of seasonal flowers, Linda will show you some basic floristry techniques to teach you how to create some fabulous floral creations typical for the time of year. You will also learn basic flower selection, condition and care plus essential trade secrets that will enable you to make a few flowers go a long way. And then it will be your turn to have a go! With a lovely selection of flowers & foliage provided for you, plus all equipment and materials, during the evening you will make two pieces to take away. So if you would like to arrange flowers for your home, friends and family, and special events with confidence, then this course is perfect for you! The maximum number of people who will attend this course is 8.